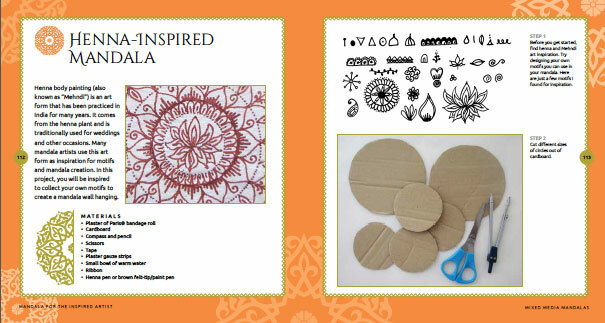 is sure to spark endless hours of DIY and craft mandala projects and imagination! 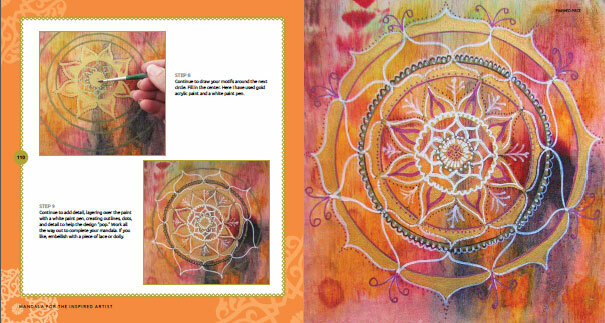 Learn how to create your own beautiful mandalas using a variety of tools and mediums. 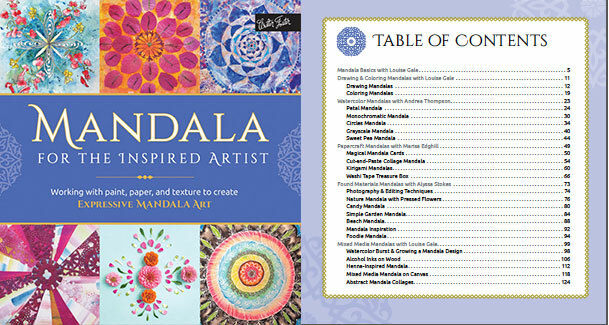 One part inspiration, one part how-to, Mandala for the Inspired Artist is chock full of unique and inspirational prompts, exercises, and approachable step-by-step projects that are perfect for crafters of any skill level. 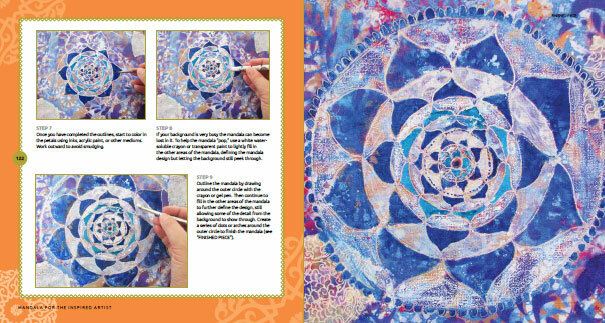 From making art with pencils, paints, and paper to tape, nature’s textures, and found objects, readers will discover a variety of ways to make unique mandala artwork. This engaging and interactive book is packed with helpful tips and beautiful photographs of finished work to both instruct and inspire. 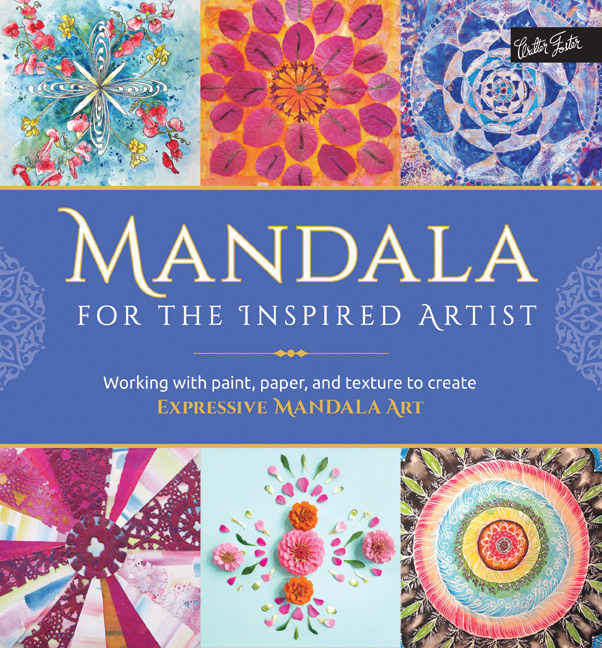 Inside artists will discover how to draw and paint mandalas, how to arrange a mandala, and how to turn their own mandalas into inspiring artwork, home decor, and gifts. 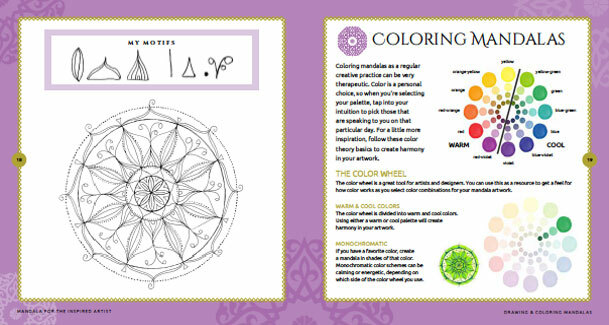 Included are interactive pages for brainstorming and sketching, in addition to fun templates for scanning, copying and/or coloring in. 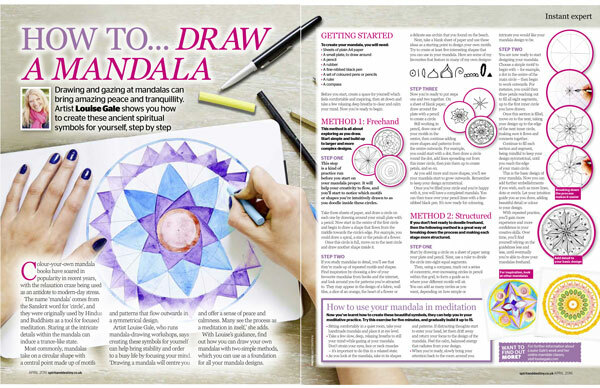 Full of inspirational instruction, sophisticated artwork, and a myriad of ideas to explore and build on, Mandala for the Inspired Artist is sure to spur endless DIY and craft projects and spark hours of mandala fun and imagination! The book has 128 pages, so here are just a few! Louise Gale is an amazing artist! 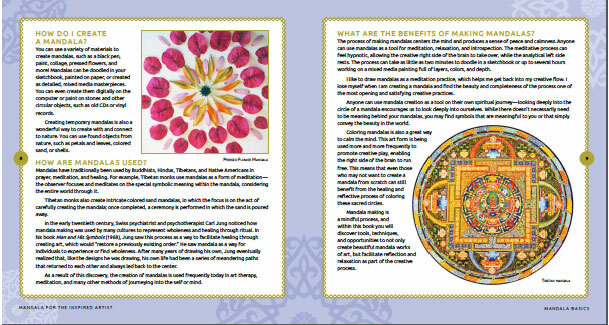 I was so excited to receive my pre-ordered copy of “Mandala for the Inspired Artist” this week. It is packed with creativity, beauty and instruction. 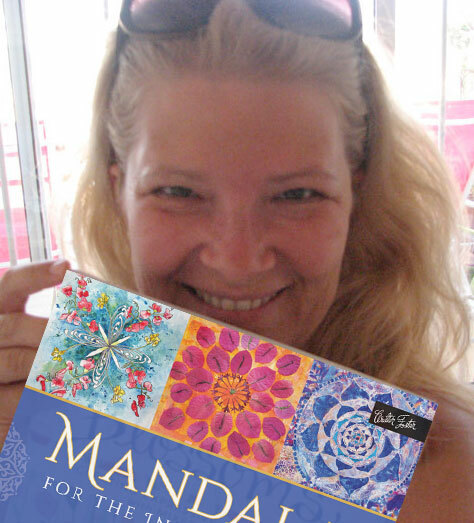 I have taken her online courses for Mandala art making and now having this book in my art library will be a constant source of inspiration. 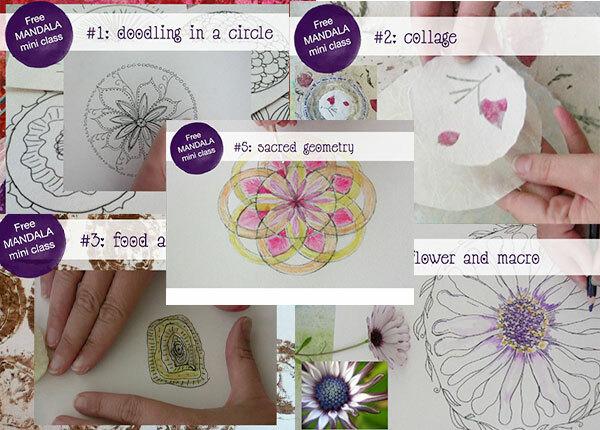 She presents her work in an easily understood way and leads you step by step to create your own beautiful Mandala artwork, not just follow her ideas. 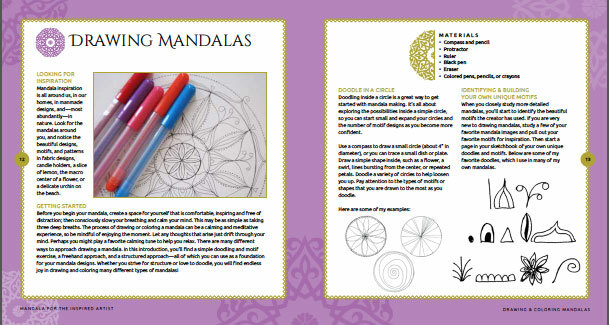 She shows the way for you to create your own Mandalas with confidence. How I love this book! 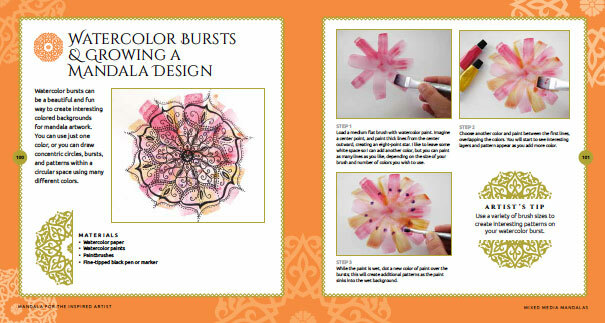 Louise is a beautiful teacher, you will definitely want to add this book to your own creative library. I have poured over the pages and keep finding new ideas I didn’t see the first time. Job well done Louise and thank you for creating such a heartfelt work. 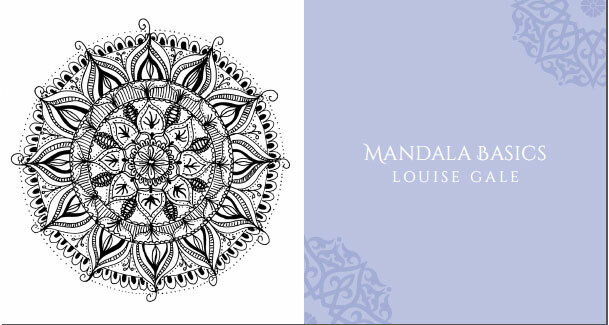 Louise’s love for Mandala making comes through in every page. The author has truly outdone herself! 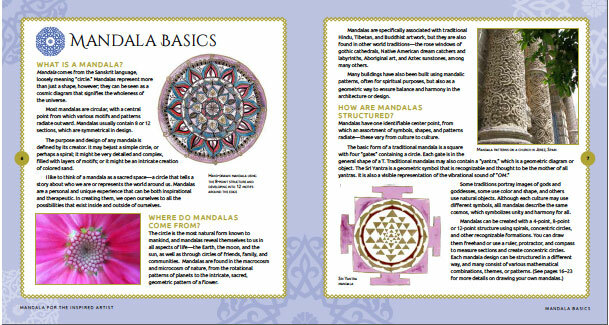 This mandala book is so wonderful. It’s full of amazing ideas and very beautifully illustrated. The different techniques and methods are very easy to understand and inspirational. I read each page very carefully about at least 3 times, it was a real pleasure to discover everything. Thank you so much Louise for sharing your talent with us. Congratulations to you and to the other authors for this gorgeous book. 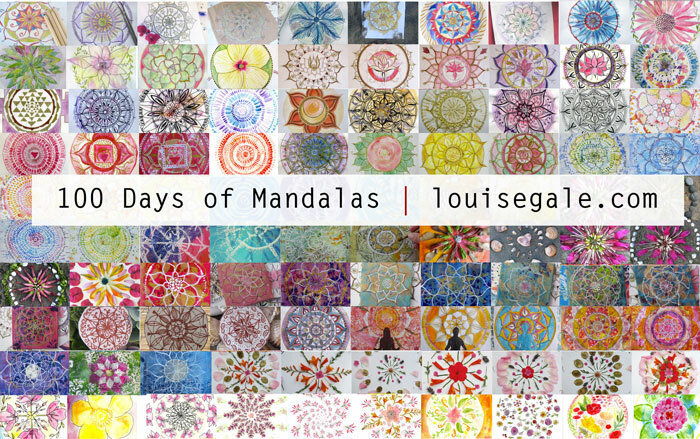 Louise Gale is a British mixed media artist, with a passion for color, nature and mandala making. She creates in her art studio in Spain overlooking the sea with a view of Gibraltar rock, tiny fishing boats and the north African coastline in the distance. 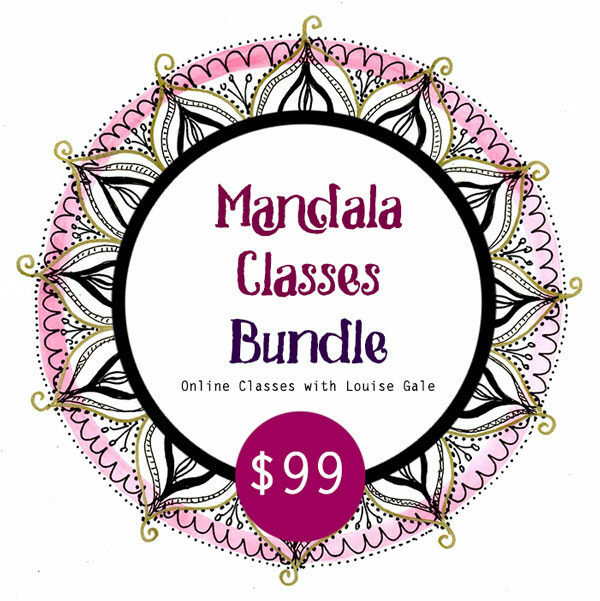 Louise’s work is expressive, colorful, full of energy and she loves to share her techniques and inspiration with others through free resources, creative challenges, videos and online classes.